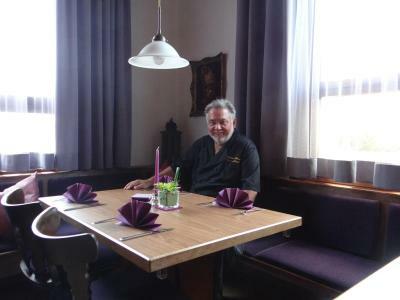 The hotel may be a bit outdated but it was comfortable, the staff was excellent, the food delicious and the location was great. Breakfast for 4 Euros is awesome. The hotel restaurant served very well prepared and tasty meals. Free parking on site was a huge plus. 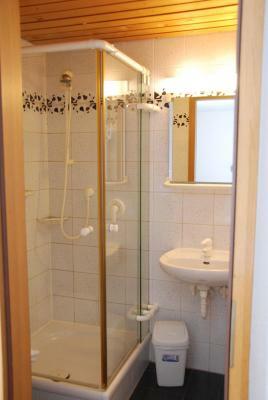 The room and bathroom were spotless and well stocked. They are friendly to allow our late arrival. Very touching. Wir waren zu Besuch bei unseren Enkeln. Dazu war alles in bester Ordnung. Το κρεββάτι ηταν πολυ μεγάλο και άνετο. Ο χώρος του πρωινού καθαρός και το πρωινό γευστικό αλλα λειψό. Χαμογελαστο το προσωπικό. Frühstück war ok. Am besten fand ich die Hundefreundlichkeit. Echt super. Das Personal war sehr freundlich. Das Zimmer war sauber. Wir nutzen das Zimmer zu Besuchen unserer Kinder und Enkel. Da ist immer alles zu 10 % in Ordnung. Situated in the center of Markgröningen, just a 30 minute drive from Stuttgart, this traditional hotel offers cozy rooms and free parking, as well as a restaurant and bowling alley. Famous for its annual shepherd run, Markgröningen has many attractive Medieval buildings which you can explore from the Hotel-Restaurant Zum Goldenen Hahnen by foot. 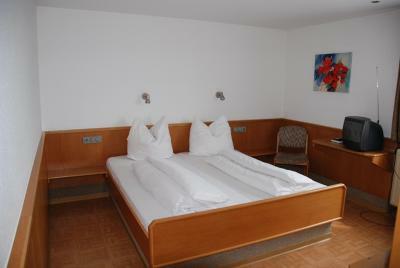 The hotel also makes an ideal base for visiting the towns of Ludwigsburg and Freiberg am Neckar. At the end of a long day, enjoy a regional or international dish in the hotel’s welcoming restaurant. This property is also rated for the best value in Markgröningen! Guests are getting more for their money when compared to other properties in this city. 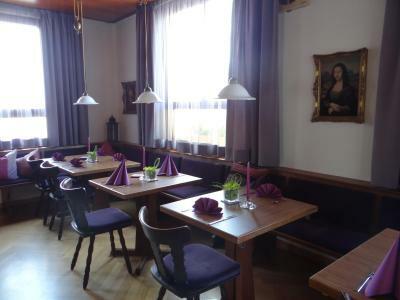 When would you like to stay at Hotel-Restaurant Zum Goldenen Hahnen? 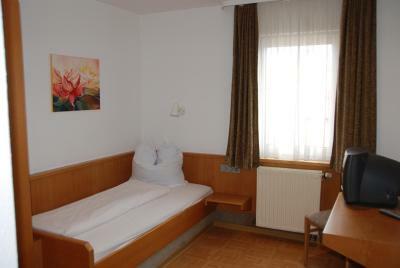 Simple room featuring wooden floors, a TV and a private bathroom. 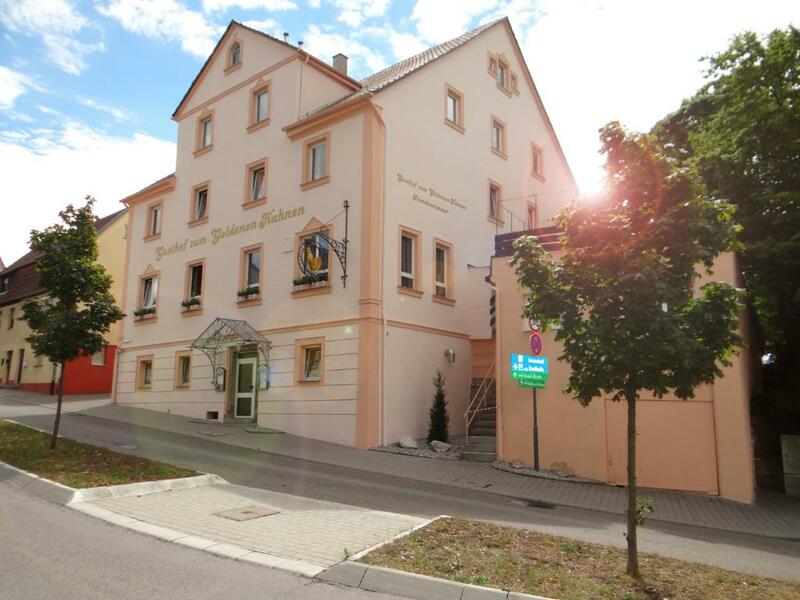 House Rules Hotel-Restaurant Zum Goldenen Hahnen takes special requests – add in the next step! Hotel-Restaurant Zum Goldenen Hahnen accepts these cards and reserves the right to temporarily hold an amount prior to arrival. Please note that renovations will be taking place at the hotel from 20 March until 31 March 2015 between the hours of 07:00 and 18:00. No A/C in rooms but a fan or open window at night kept it comfortable. A micro fridge would have been nice to keep food and drinks cold in your room but when I asked the hotel staff for ice or food related they were spot on so it makes up for this minor inconvenience. Wifi was poor, the breakfast mediocre, and no hand soap provided. Impersonal, but somewhat typical of German personalities.